It’s been two weeks since my Mother left this earth to be with the Lord. Regardless of what or how or why, at the end of life there is only love – a love that is so pure and unconditional, a love unlike any other. Between a daughter and her mother. For the Mother who is gone now… wish that I could have another day with her, to have a heart to heart conversation, to share with her all the things I never had a chance to, and let her know how grateful I am, how much I appreciate her for all that she gave and did for me, some so good and others that at the time seemed not so great, traumatic even, but which I now believe were the catalyst that made me into the woman I am today, stronger so I can take care of myself, firm in my conviction for what is right and fair and just. It’s true that as our parents grow old the roles are reversed. All of a sudden I felt like the one who is the Mother and she the child. Suddenly I had this overwhelming need to protect her, to shield her from any harm – from people, places and things, even take over some of her pain, if that were at all possible, so she wouldn’t suffer so much. As I contemplate on her life that was, and now her passing, I know that my mother is in a better place. She is at peace where she can be free to roam, and dance and be merry, surrounded as she is with all the angels and her loving ancestors. From up above she can appreciate her daughter, and continue to send love and protection. I feel her presence even as I write this. I am sad indeed, and lost and heartbroken that she is gone. Devastated. That I will never get to hold her hand and call her name, sit with her and sip tea and eat the wonderful desserts that she so lovingly would have ready for me during my visits. At the same time I am happy for her that she no longer has to suffer – not in health, not in relationships, not in life. The last few days spent with her were painful and sad. Seeing my mother struggle with not just her health but also in her personal life, all I wanted and prayed for was that she would find peace and relief from all the challenges she faced and the family drama that surrounded her. Looking back now it seems that my life has been on pause forever. The past six-seven years especially, have been a blur…a jumbled collage of airports, back and forth trips between my home in Los Angeles and my family in Bangkok. I have felt an indescribable restlessness – as if there is unfinished business, words that need to be said, pressing questions that need answers, and most of all some sort of healing that hopefully would free me. But all seemed to have eluded me. Looking back now I can see clearly why and how my mother behaved toward me the way she did. Of the seventy plus years she had been married, her one and only desire was to please her husband – at all costs – regardless whether he was right or wrong. She was the product of old values, where your husband is your god and can do no wrong. I understand now that she really had no choice, because the alternative would have meant her life would have been unbearable. But I digress… this post is not about my father. His part in my life story is in my memoir, Unveiled, the first book I ever wrote, to be released soon. A book that helped put my life in perspective, that got me started on my healing journey. Writing my memoir convinced me that I had found my life purpose, which aside from being a fashion designer, was to be an author, to share with the world the wisdom I had gained from my decades of life on this earth. My mess was my message – one that the world needed to hear, that could perhaps help many others reconcile with their own demons – a memoir which at the time I thought was complete, but which I realize now still has many chapters yet to be written. I had put the book aside out of respect for my mother, because publishing it while she was alive would have been a wake up call for the one she revered and possibly made her life a living hell. The lie I once told myself was that my mother would always be here to protect me. I had the slight lingering belief and hope that my parents would one day ‘see’ me. Despite all that happened to the contrary deep inside there was still the little child seeking approval, longing for validation. From the time we are born we are looking to our parents to teach us the rules of this world and to guide our expectations about how we should or shouldn’t act. We look to our culture and the persons assigned to raise us to guide how we should dress, speak, act, and even what kind of profession we should be in. We expect that these same figures of authority would show pride and cheer at our accomplishments, pat us on the back and say ‘well done, my child’. But the longer I live the more I realize that these are just myths. My mother’s passing has been a wake up call. During these last few years of her life, and especially in the last few weeks, I have witnessed first hand how her death was sped up by greed, lies, and manipulation, with no mercy nor empathy for her fragile condition from those who fawned and preyed on her. I have learned many times over that when fortune is involved those closest to you will take advantage of you knowing you are at your weakest and most vulnerable. As I mourn her death, those by association continue to manipulate and take advantage of the grieving, spewing hatred and spreading untruths, so they can look good. The drama, the fake tears, the greed – these continue, and it breaks my heart to see those in authority allow it to happen. Shattered. Powerless. Traumatized. I am caught in this inferno. The abuse, the lies, the filthy names continue to be thrown at me as I have been singled out just because I happen to see and speak the truth of what is going on. Apparently I had rattled the cage and scared the bejesus out of some who feared their dark secrets would be exposed. I am the scapegoat, the one chosen to be the sacrificial lamb on whom to tag blame, one they would tear down and throw to the wolves. Mental abuse causes trauma because it tears at your self-esteem, brick by brick, until you are left with nothing to stand on. Verbal abuse, especially from one you look up to, chips away at your self worth and leaves you gasping, drowning until you can breathe no more. Sometimes, like now, I wonder why I put myself thru such insults, degradation and humiliation. I was doing so well all those years, keeping my distance by separating myself over continents, doing my thing, living my life, staying away from those who would walk all over me, stab me in the back and spit me out in a heartbeat. I continue to be sucked into this drama because I believed I could help make a difference in lives, that I could solve the family problems, to bring justice where none prevailed, that I was actually doing many a great service. 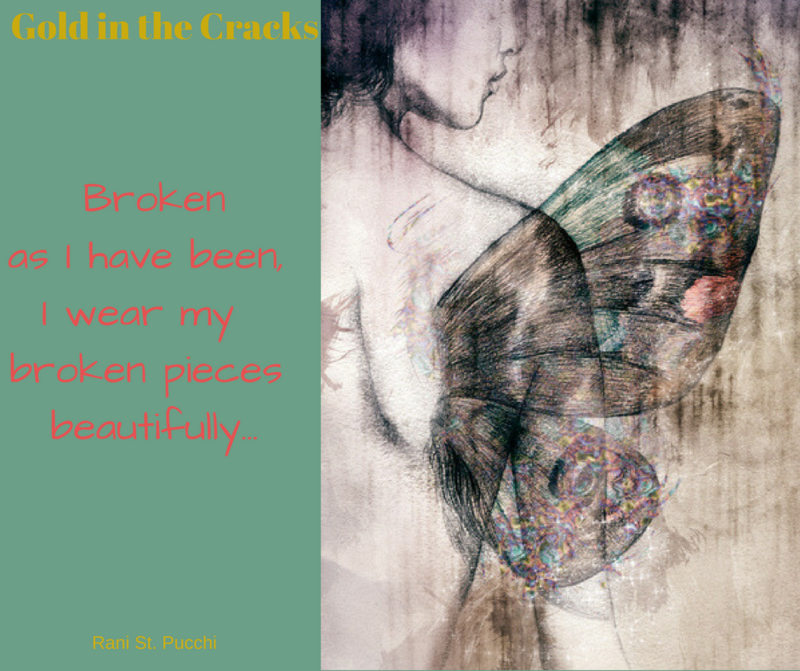 Broken as I have been I wear my broken pieces beautifully. And as I write this I remind myself that I cannot save the world. I can only save myself. I continue to learn the importance of trust, knowing full well that the only person I can trust is myself. I try to stay focused on the truth, to rise above and be the victor, not a victim. It’s so easy to play the victim of circumstance and prevent ourselves from moving on in life. We tend to settle for mediocrity because it’s familiar; we pretend to be content because we’re too afraid to explore. I also realize that one can’t move along to find unconditional love until one finds confidence and self-love and acceptance of one’s decisions. And, by golly, we deserve love. And so I must decide to walk away before it’s too late. I wish I’d not wasted so much of my life and had the courage sooner to live a life true to myself, not the life others expected of me, to get in touch with what seems right to me and live an authentic life, and not wasted the years. But I am reminded again and again that what I am witnessing in life now is a unique experience on its own and I am having it because I have something to learn from it so I may share that wisdom with others. I have learned that happiness is always a choice. We rarely realize that we can choose to be happy. I can make a choice to have a happy life, to be unafraid of change, to stop worrying about what others think of me, to relax and appreciate the good things that life brings. We are not immortal. Most of us waste too much time trying to figure out how best to live, instead of actually living. Live now so you can die without regrets. A life fully lived is one that has had its fair share of triumphs and failures, temptations, traumas, disappointments, false friends and relationships, and broken hearts, not to mention the pleasures and tribulations of parenthood. Once we reach a certain age we have discovered – usually through trial and error – what works and what doesn’t. We have a better sense of what’s valuable and enduring – and what isn’t. We may even have a few thoughts on how to grow old gracefully. As we grow older, we gain a frame of reference unavailable to our younger selves. However, nothing puts a life in focus more quickly than landing on death’s doorstep. Those who are near the end of life are given a chance to do a final accounting, a true assessment that includes both satisfactions and regrets. * Never compromise your worth. * Stop wasting your time – or time will waste you. * If it’s the truth then say what you think and don’t be apologetic about it. * Stop looking for validation because if it hasn’t come, it probably won’t. * If you’re waiting for life to be perfect, you may wait forever. * Get present. Live in total awareness. What if this is the moment you’ve been waiting for? * Take care of you. Because no one else will. * Never shrink to fit into someone else’s image of you. Expand into your vision of your best self. * Merely going after money does not make you richer. Build real wealth so you actually succeed with money. * If you want to be in love, be in love. Don’t let anyone tell you you’re making a mistake or that there is someone better. The heart does not lie. * Dare to Dream. Be a vision holder, not a problem-solver. * Have no expectations and you will never be disappointed. * Take one hundred percent responsibility for your life and your decisions. There is no one else to blame. * Be careful how you respond to people and events. Because your response determines your outcome, your future and your relationships. 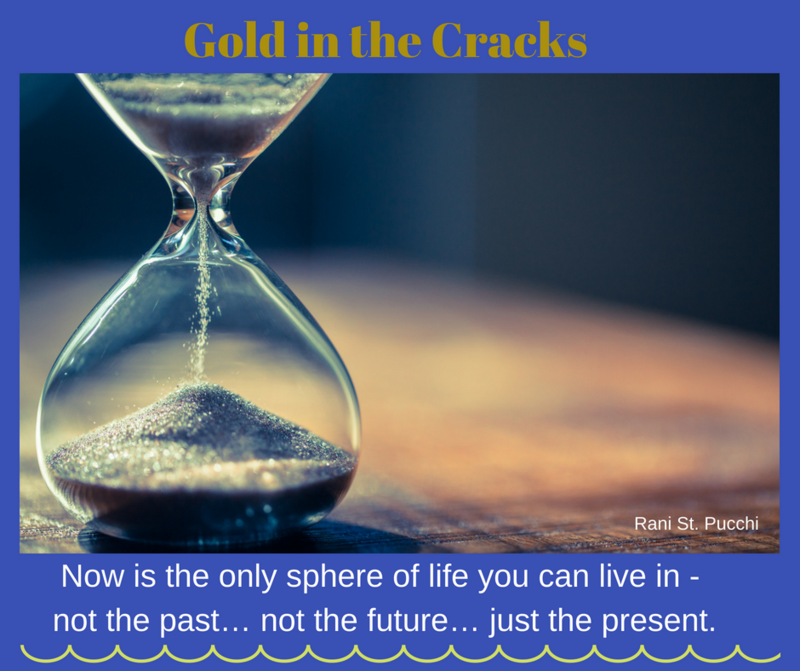 * Share your wealth – your time, money and resources with your loved ones while you can. Life is unpredictable. As I sit now and watch the sun rise over the Chao Phraya River from my balcony, I see boats and barges navigating the waters, seemingly carefree, going about their business. Peace surrounds me. I understand that life goes on – that life does not happen to you – it happens irrespective of you. So go forth and live your life to the fullest. Life is waiting for you. Show up for yourself. Nothing and no one else matters. Do what your heart desires. Those who judge you do not matter; they are just bored human beings who need something to gossip about. Worrying about what people will say is a senseless waste of time and energy. At the end of the day, it is only between you and God. And God approves of you. It is when you leave all earthly expectations behind that God shows up and pulls you out of your dilemma. Your only job is to make the best of each moment, to spread love and kindness and good cheer, and the rest of your life will fall into place. We rarely give ourselves much credit for what we are capable of. Don’t look too far into the distance. That long-term view can actually limit you. Just be present, live moment by moment, and the answers you seek will appear. When you are so busy pushing, obsessing about the end results, wanting and needing, you just may not hear the call. Are there areas of your life that are not “kept” because you are taking care of everyone else? The person speaking in Song of Solomon was good at taking care of everyone else – his family, his friends, his work. But in doing so, he neglected to take care of himself. Are you living like that today? Are there dreams you have, that have not yet realized? Is it not time that you took care of your needs? To fill yourself up first so you may spill over and give to others? Rani St. Pucchi is an award-winning couture Bridal Fashion Designer, a Style & Image Consultant, and a Relationship Expert. She is a Bestselling Author, a Speaker, an Inspirational Coach and a Trainer. Her recent TEDx talk:Is Your Body Image Holding You Back has received worldwide acclaim. Rani’s #1 International Bestselling Books:Your Body, Your Style: Simple Tips on Dressing to Flatter Your Body Type; The SoulMate Checklist: Keys to Finding Your Perfect Partner; Your Bridal Style: Everything You Need to Know to Design the Wedding of Your Dreams; and her newly released Gold in the Cracks: Move from Shattered to Whole and Reveal Your Light – are available on Amazon and at Barnes & Nobles.